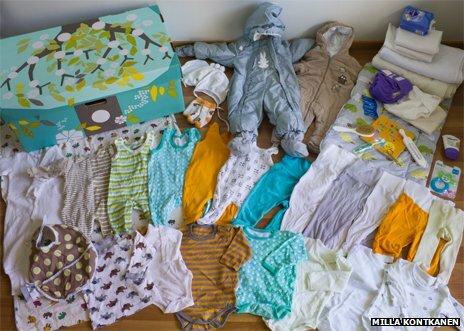 [float=left] [/float] For 75 years, Finland's expectant mothers have been given a box by the state. It's like a starter kit of clothes, sheets and toys that can even be used as a bed. And some say it helped Finland achieve one of the world's lowest infant mortality rates.